I don't know what Ralph by "trying " to help another. How about just doing your best to help the person? People have a lot of good intentions which they never carry out and then excuse themselves saying that they tried. In A Course in Miracles it says that a person learns what the person teaches. 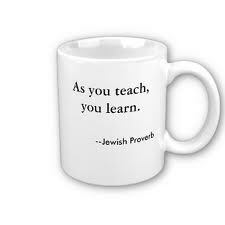 If you want to learn something teach it. In Alcoholic Anonymous they have a slogan "Fake it till you make it." As a psychotherapist I am familiar with what is called the "pretend technique". People are resistant to change or don't believe that they can do certain things. As a therapist I encourage people to pretend to do it even if they can't. Jesus never condemned anyone for sinning but he did seem exasperated when He would say "Oh yee of little of faith. If you only knew how much your Father loves you, you could not doubt your desire to extend your love in a constructive way." Mother Theresa said she was not interested in whether her efforts brought success. She said she did her work to be faithful, not to be successful. Is this what Ralph meant by try - to not be concerned with success, but only with the efforts to help another and thereby we learn what we teach. Our interior spiritual life gives us the motivation and intention to act towards ourselves and others in a loving way. This intention gives us much peace and spiritual joy. Do you have to be successful to make an effort to help or can you just do it because it is fun for you? I like helping because I like it not because it necessarily is effective, successful, or is appreciated by the target of my efforts. What do you think about this idea of separating the effort from the effect? Have you ever helping anyone and it didn't seem to be effective at the time? How did the lack of success make you feel? What did you do about those feelings? You are not quibbling at all AFA*I*AC David, and I am pretty sure that UU clergy misconduct victims advocate UUgrrl would agree with you too, as per the gist of her - Do Or Do Not (There Is No Try) blog post. BTW I am not quite sure how a soldier who jumps onto a live grenade to "try" to save his "brothers in arms" is helping himself in any way. . .